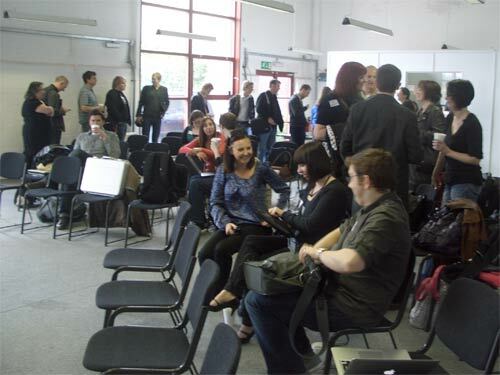 I had a great time at JEEcamp in Birmingham on Friday, at what was a really interesting 'unconference' around the theme of Journalism Enterprise and Experimentation. "JEEcamp is an opportunity for a range of people to get together to talk about how on earth journalists and publishers can make a living from journalism in the era of free information, what the challenges are, and what we've learned so far." The day started in a surreally bemusing fashion for me as I faced an unexpected big picture of myself as part of Paul Bradshaw's opening presentation. It was the second event that I've also tried to 'live tweet' using my @currybet_live Twitter account. The level of Twitter activity caused the #jeecamp hashtag to start trending on Twitter, although that brought its own problems with it, with pr0n spam appearing in it. 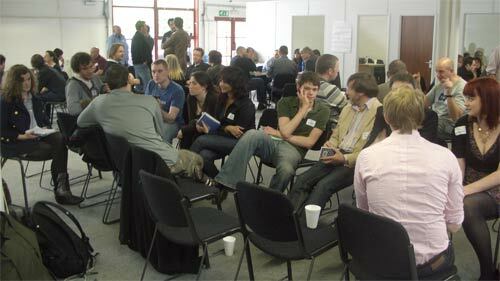 One of the things that intrigued me, having been to several techie hack days, barcamps and unconferences, was how one self-organised by journalists and content producers might pan out. As I said in this video for John Welsh of These Digital Times, the only thing missing was the obligatory Lego. 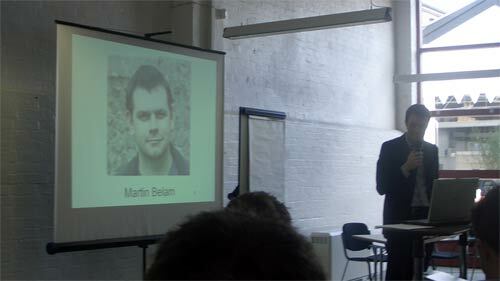 Interview with Martin Belam from John Welsh/These Digital Times on Vimeo. Whilst I was there I was also doing my first bit of blogging for The Guardian's PDA Blog. UGC photo site Scoopt founder Kyle Macrae says: The BBC's approach to user-generated content robbed us of revenue. I feel I now owe an apology to anyone I've ever criticised in the past for failing to provide comprehensive external links and a carefully nuanced SEO-friendly headline when blogging to a deadline. "I've just spent 10 mins trying to 'follow' a roomful of people 'unconferencing' through the various links offered in the article above. If I'm honest, it's a pretty disjointed, confusing and unsatisfactory user experience. Will this Live Coverage be supplemented by some boring, old fashioned 'Read About it Later' offering? Perhaps something I could print out and read on the way home..."
By Martin Belam on 10 May 2009.